Nassau County Firemans Museum - is nearly a 10,000 square foot interactive facility where individuals, families and groups can experience first-hand the proud tradition of our firefighting heroes in our communities. 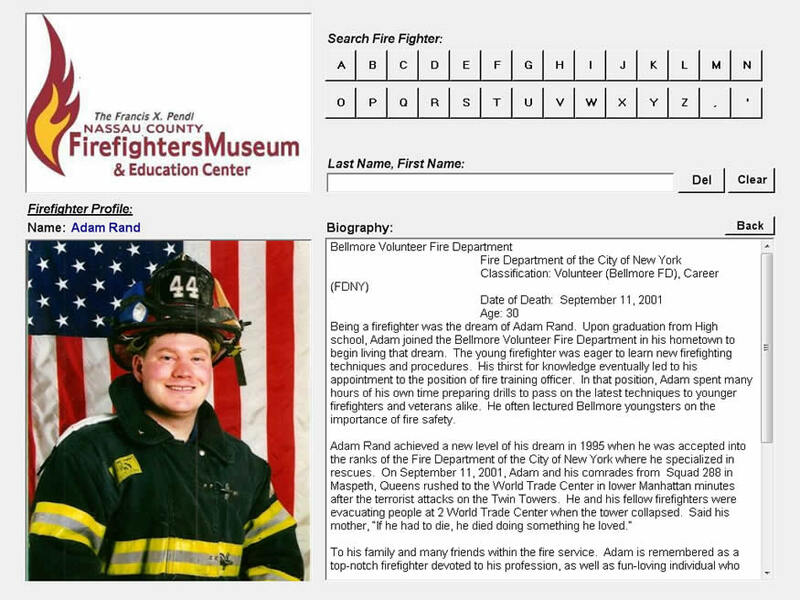 We developed software that runs on an interactive kiosk so museum visitors can look up a firefighters profile and display their picture, their biography and their service history. You can also search by the firefighters name or by fire department. Click here to visit the The Nassau County Firefighters Museum website!